‘Cool!”, ‘Beautiful!,’ ‘Amazing!’: bonsai have universal appeal. But why? What makes them so beautiful? What exactly makes a great bonsai, a great bonsai? 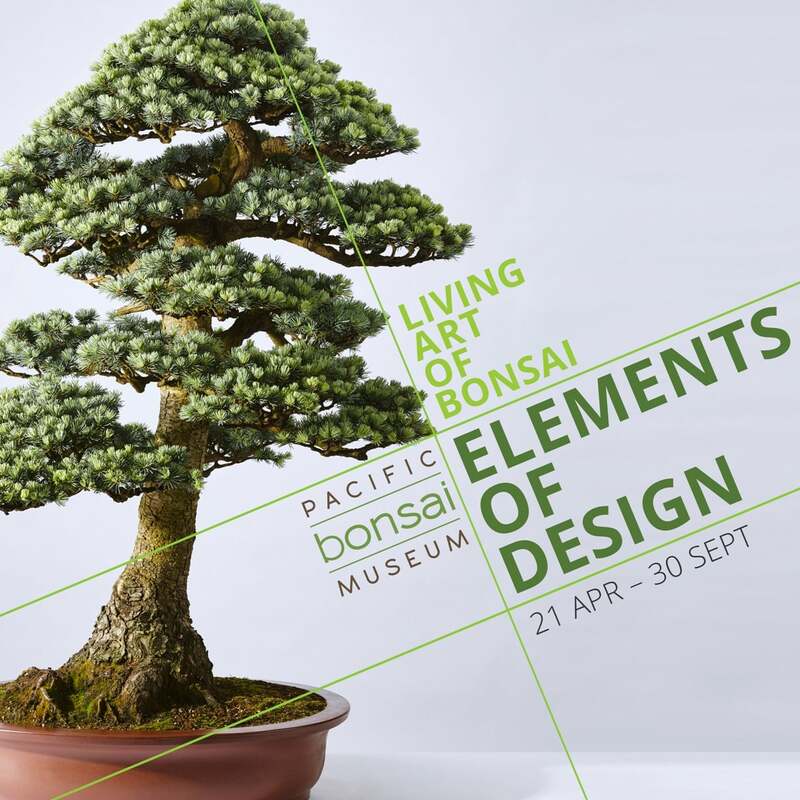 Through Pacific Bonsai Museum’s 2018 exhibition, Living Art of Bonsai: Elements of Design, visitors were able to study bonsai trees and describe what they saw. The exhibit broke down major design elements of bonsai art — line, shape, form, space, color, and texture — exploring each element in detail. It demonstrated, with trees from Pacific Bonsai Museum’s collection, how these design elements are used in bonsai. 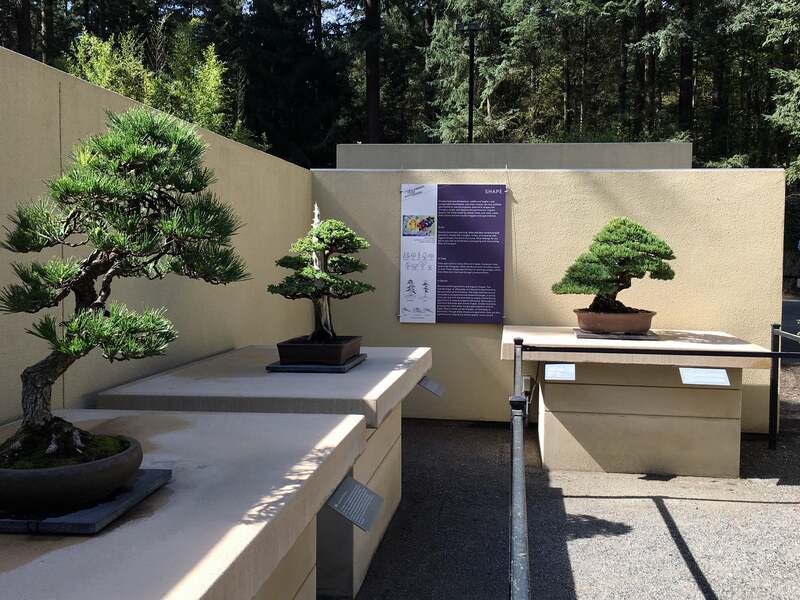 As visitors entered and moved through the exhibit, they found bonsai trees that elegantly expressed design elements, displayed alongside images of artworks and interpretive text offering insights into the bonsai design process. As they explored the exhibit, visitors were prompted by provocative questions to help them discover things they hadn’t seen before and put into words what they were learning. In the end, after experiencing all six elements, they became savvy about bonsai design, appreciative of the craft, and empowered to draw new connections between bonsai and other works of art. Download the Elements of Design exhibit guide.